Before you proceed make sure that you own the license to the appropriate font. Please be aware that certain font vendors do not allow for the transfer, display and distribution of their fonts. Your are responsible for ensuring that you respect the font license agreement between you and the applicable font vendor. If you have found that your font has been imported into Avocode without proper rights to use this font, please contact us immediately at team@avocode.com and we’ll manually delete this font file from our database. How to import a new font file? 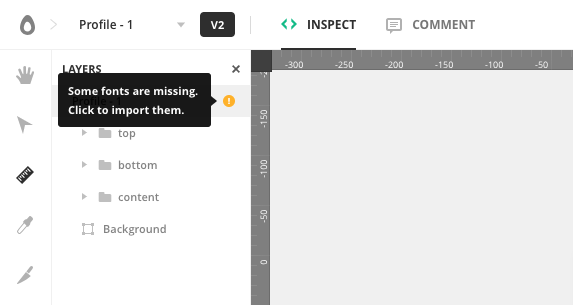 If you opened a design and saw this error, you can easily fix it. Either click on the notification or go the the layer panel and click on the exclamation mark icon to import missing font files. 2. 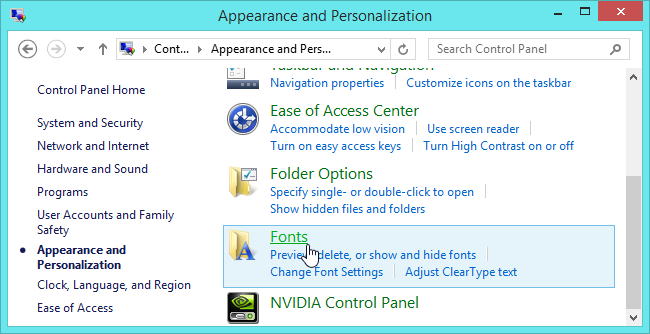 Then you can browse your system fonts. How to locate font files automatically? Open the design in the Avocode desktop app. Avocode will auto-recognize fonts that are in your Font Book or in your active Adobe Typekit account and offer them to you for import in the Missing fonts window. Once you confirm the font import the font will be displayed in all respective designs that contain this font. It will be accessible also at app.avocode.com for all of your team members. How to locate font files manually? ⚠️ Make sure that you have the missing font face file in the TTF (TrueType Fonts), TTC (TrueType Fonts) or OTF (OpenType Fonts) format. 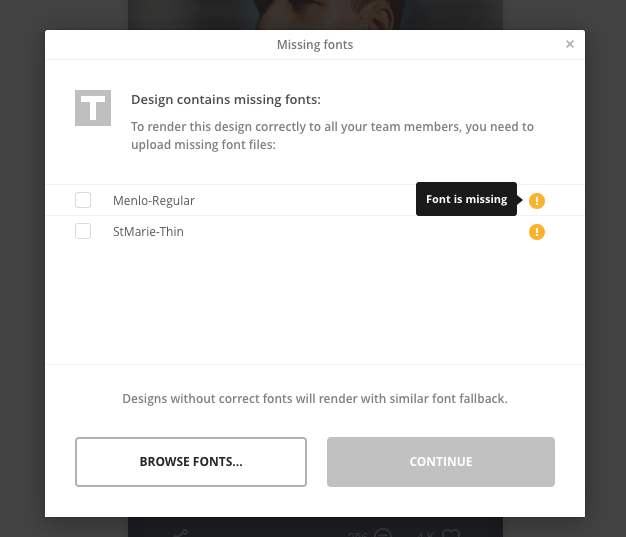 After you have imported the missing font file, your design will be automatically re-rendered and the font be displayed correctly. 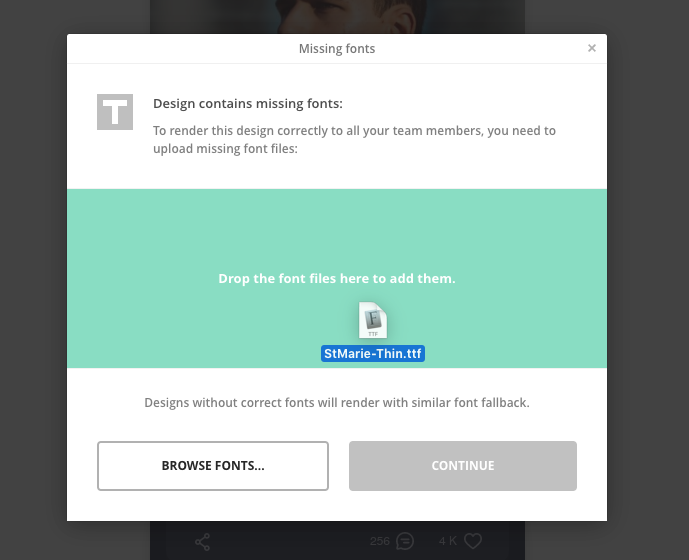 The font will also appear in all other respective designs of your team. NOTE: We always recommend to import whole font collections - no just certain types. If you're experiencing any troubles with fonts, please contact us via the in-app chat or at team@avocode.com.